and Bonnie followed her passion for communications into the field of public relations and marketing. After stints as publications manager for the L.A. County Department of Public Health and account supervisor for cancer research center, City of Hope, Bonnie joined the the L.A. Gay & Lesbian Center, the largest LGBT center in the world, where she served as communications director for three years.WriteAway founder and owner Bonnie Osborn began her career as a newspaper reporter and editor in Central Missouri and Southern California. After graduating in 1994 from University of Missouri-Columbia School of Journalism, Bonnie cut her journalistic teeth at The Fulton Sun and The Boone County Journal, before joining the region’s leading daily newspaper, The Columbia Tribune, and later the San Gabriel Valley Newspaper Group in Southern California. It was the newspaper business that sparked Bonnie’s passion for the stories of the businesses, non-profit organizations and public agencies that make a difference in our communities and our world. In June 2004, Bonnie launched WriteAway Communications Services in Los Angeles, and in 2005 moved to Sacramento. As the Internet exploded, WriteAway evolved from its media and print roots into a strategic marketing company specializing in content for multiple platforms—Websites, social media, print and broadcast media, e-letters, journal articles and promotional videos. 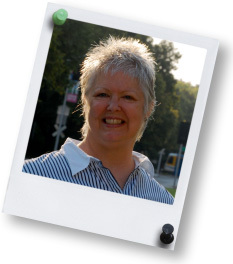 Bonnie is vice president of Records for the American Marketing Association, Sacramento Valley, past president of the Sacramento Rainbow Chamber of Commerce, and long-time member of the National Lesbian & Gay Journalists Association. Bonnie and her partner of 20 years, Terri Ely, were legally married in October 2008 and reside in northern Sacramento County with canines Lili, Stitch and Squirt. Bonnie and Terri love hiking, camping and exploring California’s diverse communities and wilderness areas.